The parade will be held on Sunday, June 11th. 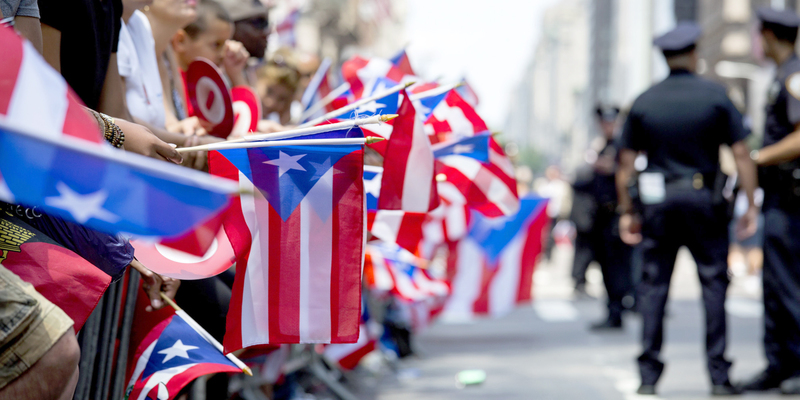 I am very proud to be Puerto Rican, and the National Puerto Rican Day Parade leadership and friends inspire in me even more pride in my community, as it gets ready to provide a space for Puerto Ricans to come together and celebrate our culture, heritage and contributions to society. This parade is happening at a time when Puerto Rico is facing a political and economic crisis that is impacting everyone on the island. Unfortunately, the narrative around the Parade is not celebration and concern for the situation on the island but rather misinformation about who I am and what I stand for. We must shift the focus. We cannot let people who are unfamiliar with Puerto Rican history define the narrative and experiences of our community. I want to repeat what I have said in many interviews, both in prison and since my release. I personally, and we as a community have transcended violence — it’s crucial for people to understand that we’re not advocating anything that would be a threat to anyone. I thank the Parade leadership and so many Puerto Rican and Latino leaders for standing for the ideals that I represent, for setting the record straight against all odds, for using so much of their political capital to show, once more, their unflinching commitment to justice for the Puerto Rican people in New York and in Puerto Rico, and for all New Yorkers. Now, let’s move on. Let’s celebrate. Let’s be puertorriqueños and puertorriqueñas. The honor should not be for me; it should be bestowed on our pioneers who came to the United States and opened doors. It should go for activists and elected officials who fight for justice and a fair society. It should go to the many companies that though not showing a float on June 11th have continued to support our future through scholarship funds.